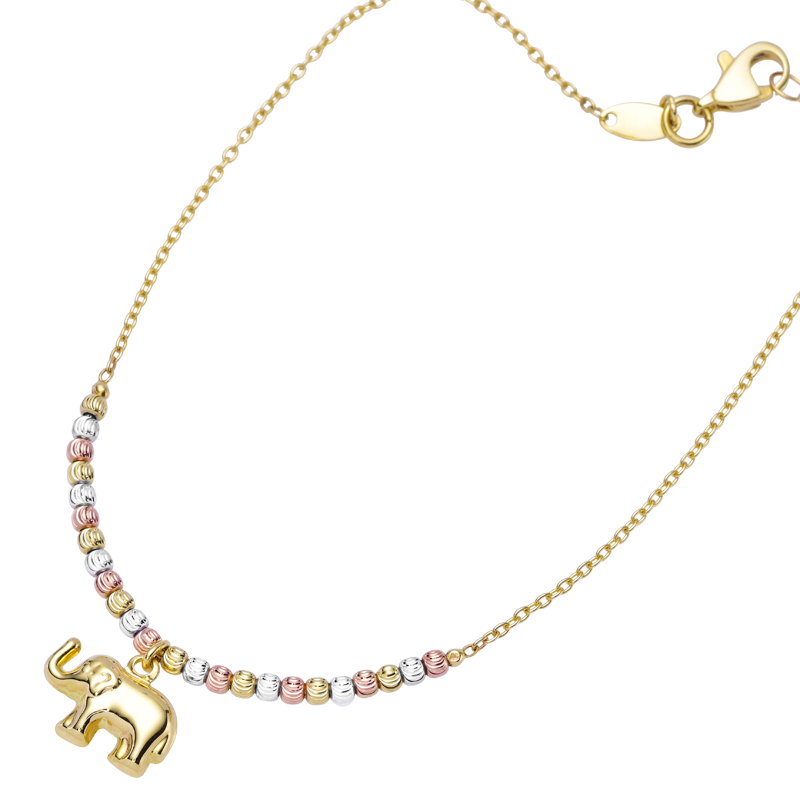 Find Companionship in an Elephant Charm BraceletThis solid 9ct gold elephant walks undercover of yellow, rose and white 9ct gold clouds, as if he's heading home, in a dreamy sunset reverie. An enigmatic design you can't help but love for its friendly companionship, the bracelet continues in fine links of gold to a slim lobster clasp. 7½" long with 1? extender chain.